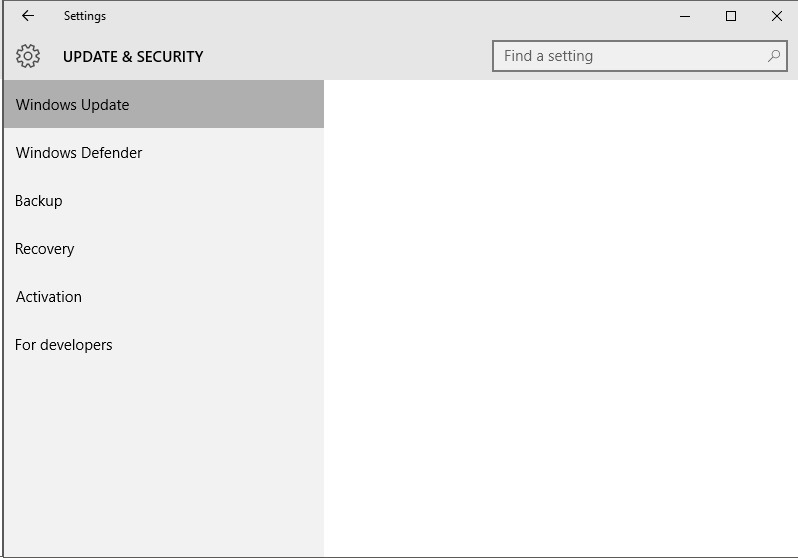 The updates in Windows 10 Home Edition are automatic. You can't disable the auto-updater, and updates will be installed upon your next reboot (which you can schedule). In theory, this should keep everyone with Windows 10 up-to-date with the latest security patches and features. If you have issues with the auto-updater and need to troubleshoot, please use this thread to do so. One solution is to update to Windows 10 Professional. It will run you an extra $99 to upgrade from Home. If you're upgrading from Windows 7 or 8 Pro, you'll be upgraded to Professional automatically. Windows 10 Professional will be able to defer its updates while they're tested on all of the home users. After the final reboot and configuration of Windows 10 from Windows 7/8 your graphics card driver will require a re-installation if you are using an NVIDIA card. I don't know whether or not the same holds true for AMD but it most likely will require a driver installation and/or update to the current version. Specifically you want to get the version that's actually for Windows 10. When I first installed windows 10, only my right side secondary monitor was "working" then I ran the windows 10 latest drivers from nvidia and it fixed itself to what it was before. As with my upgrade from 8 to 8.1 I pre-installed the certified Nvidia driver while troubleshooting. Got hung up by my Steel Series mouse software last time, as it turns out. Going to try the ISO out tomorrow, downloading through Windows update just had my machine sitting at "Setting up devices 6%" with an overall status of 26% for about an hour. Forced a reboot and it put 8.1 back in place in under 30 seconds, so it didn't get very far. Might try updating my BIOS as well just to be sure. Installed successfully, not really sure what did it. Failed to install Intel LAN drivers properly though, had to actually manually remove what MS put down to install the latest version on there. My windows update is blank. I am going nuts with this auto update. I have a new alienware 15 inch laptop and it does not tell me when the updates are installing or downloading. So i think when i start the laptop and get to the the part where i put my password in it seem to have frozen maybe i should have waited longer. I did a manual reboot as even control alt del didnt work and it only did it occasionally. It is using my mobile as i tether it, to download updates its cost me $40 in data packs. I am thinking about reverting back to win 8.1 or win 7. I will wait till someone figures a way to stop auto updates. I have 10pro and it doesn't let me do any such thing. How can I turn it off or "defer" the updates? I don't know why people have many problems with auto-update. It never bothers me since I start using computers. some of us have programs and even some **cough PIRATED cough** programs that we dont want them to upgrade because it would cause said program to stop working. some of us also have our C:\ on a small SSD and we dont want every single update taking up precious space. theres a lot of stuff that you really dont need (when i look at what updates it wants me to download) and it all takes space in the end. my office 2013 has like 50 updates that i refused otherwise it will eff up the program since its unregistered. I don't blame the auto-update for cracking "those" software as it's not reasonable to me. For the Office 2013, I think you can opt-out updates for other MS products. I'm not sure if you can do it on the Home version. Storage price is always going down unless we always want the best. We never feel enough space. How much SSD space is for programs and OS? This shouldn't be a concern today. I don't think it's obvious to me that I need this update or not. If we don't get into details (which we can), we hardly tell. Keep in mind that MS aim for average users. We don't want automatic update, but when there's a problem, we are advised that "make sure you have the latest drivers / updates". ... You can't disable the auto-updater, and updates will be installed upon your next reboot (which you can schedule). Is it possible to have updates for Windows 10 Home automatically installed when shutting down or during startup (rather than rebooting)? I'm a volunteer than manages several computers for a small elementary school. The computers are shut down at the end of every day (rarely rebooted). Windows 7 can automatically download updates and install them when the computers are shut down (or rebooted). This is a huge benefit for me in that no special human intervention was necessary to install updates on all of the PCs. The teachers don't need to know anything special beyond how to turn off the computers and I don't need to make special trips to the school just to install updates. I'm testing Windows 10 Home and it doesn't seem to install updates during a shut down. Moreover, if the computer is always turned off overnight the automatic reboot-based update process can't install the updates at the default 3:30 AM and doesn't seem to follow up on the installation after the computer is started the next day. The only option for this situation seems to be to manually schedule a reboot time when the computer is normally running and hope it doesn't interrupt anyone's work. The human intervention required for scheduling, the potentially long downtime during the installation process and the possible loss of work in progress are all significant issues. I don't want the teachers to have to take time to reboot all of the PCs and to know when to reboot the PCs. We don't want to leave the computers on 24x7 and we don't want updates automatically applied during the school day and possibly interrupt computer usage. Finally, I'd prefer not to make a special trip to the school each time Microsoft issues a new update. Is there any hope for me with Windows 10 or should we stay with Windows 7? Those are likely special education versions of windows 7, and thus don't get a free upgrade. They have to buy new OS licenses or new computers. And also those will be special education versions, which may function more like the enterprise editions and let them manually control updates. It turns out that Windows updates are NOT installed during shutdown if the "Fast Startup" power button option is turned on. When turned off, updates are installed during shutdown just like Windows 7. Too bad this information seems to be *very* difficult to find. See Control Panel > Power Options > "Choose what the power button does" > "Shutdown settings" section. The PCs running Windows 7 seem to be eligible for the upgrade. Not sure if they are educational versions. Thanks for the heads-up though. I'll check more closely. I had a quick look for a solution and definately others experiencing this problem.. But havnt seen a good solution yet. I have logged in, and I can click on the app and it opens for about 30 seconds but then it just dissapears. Same as the Calendar app. Automatic Update of drivers. Not a very bright idea in my opinion. Almost as bad as those all in one driver update programs. If the computer is running fine, there is no need to update drivers. Hi guys - I've been having problems updating Win10 and thought I'd ask here. I have a brand new PC and installed windows 10 home edition from a purchased windows USB. I'm trying to update to 1151 10586 but the installer gets stuck at 93%. I've tried twice and have left it for a few hours but it just stays at 93%. I've tried turning off fast boot based on a suggestion from another thread. Any suggestions? I have a new Dell that came with windows 10, it was running good until an update KB3124200 had no wireless connection. After getting it to connect to the web, then the web pages would not open. After uninstalling KB3124200 every thing is good. I found a way to disable window 10 update. Right click on the windows icon in the lower left hand corner. up box choose to disable, then select apply and then ok. That's it all done. If you are using Windows 10 Home edition, then you cannot stop automatic update, it automatically installs and download in your system, but if you are using Windows 10 Pro, then there is an option to delay it, but only for a specific period of time. I'm tearing what little hair I have left out over this! Windows update installs an Nvidia driver which appears to be responsible for numerous dxgmm2.sys BSOD's. According to the interweb many people are suffering from this. Every night I roll back to the last known stable driver for SWTOR (347.88) and every day Windows Update overwites it. Do I have to upgrade to Pro to prevent this? Step 2. Find "Windows Updates" right click on it, click "Stop". Next, go to properties, set Startup type: "Disabled"
Step 3. For the maximum effect, I'd recommend you to restart your machine and you're done. What's this Threshold 2 Update? It seems to delete/move competitor software.